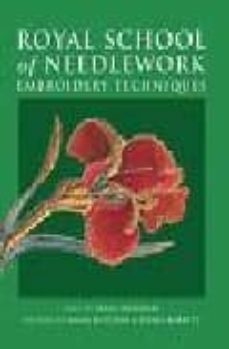 A learn-by-doing guide to the most-prized hand embroidery techniques explains the four basic stitches, with projects to match. The Silk Shading stitch features a Landscape, Iris, Dog Portrait, and Tree Bark. Crewel Work offers you a Jacobean Leaf Sampler, Fish Sampler, and Abstract Window. Blackwork provides four dark-bordered nature and geometric designs, and Goldwork projects include an art nouveau pattern and an elegant purse. Along with the photos of each step of the technique, you' ll find photographs of museum exhibits featuring the world' s great embroidery, ancient and contemporary, including a coat of arms, floral patterns, angels, and a queen' s crown.